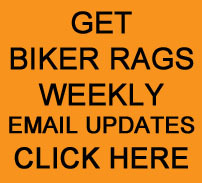 Greetings from all of us at Biker Rags. We’ve been posting ways to enjoy your motorcycle- and one of the best ways is to participate in a fund raiser/ charity event. This Saturday, June 30th, Biker Rags is hosting another local benefit ride to help the kids at Claxton Elementary. The Vendetta’s Motorcycle Club from Powell are doing their 3rd Annual Backpack Ride. They get together with the teachers at Claxton Elementary- find out what items are required for the school year, then fill backpacks full of the necessary supplies for the kids that simply cannot afford them. What we really like about this event is that these guys have picked out their local school to help out local kids. To us- this makes a lot more sense than giving your hard earned money to some organization that is headquartered elsewhere. These guys get to actually make a difference to some of the kids in their community. You can be a part of this local event, have a good time and support some of our local kids. The Backpack Ride is this Saturday, June 30, 2018 starting here at Biker Rags. Cost is $10 per person, registration for the ride is 11:30am till 2pm and the ride will end at Ridge Runners in Oak Ridge. Come hungry- Biker Rags will be serving FREE pizza and cold drinks starting at 11:30am. There will be door prizes and a silent auction at the end of the ride- along with more food and drinks. If you are looking for a way to enjoy your motorcycle- this is a great event. Please, PLEASE, come and help us make this a big success! Some kids need help to stand tall and walk proud and having the school supplies they need will make a BIG difference. This entry was posted in Benefit Ride and tagged 3rd Annual Backpack Ride, Biker Rags, Vendetta's MC Powell. Bookmark the permalink.